The Digiflavor Bucho Replacement Coil is designed for Digiflavor Bucho Sub Ohm Tank, aiming to bring you thick vapor clouds and great flavor. 2 resistances for you to choose from. The Digiflavor Bucho Replacement Coil is designed for Digiflavor Bucho Sub Ohm Tank, aiming to bring you thick vapor clouds and great flavor. 2 resistances for you to choose from. 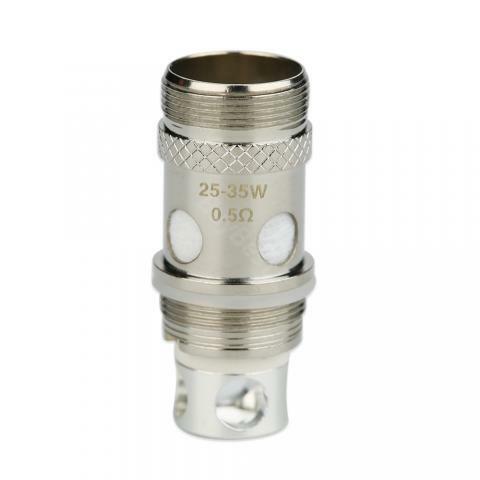 0.5ohm coil (25-35W) and 0.25ohm coil(35-65W). Get them as a spare part. • It's compatible with Digiflavor Bucho Sub Ohm Tank. GOOD PRICE AND good work coil heads. I will order it again when I needed. Thanks for fast delivery.